The denim industry is a thirsty, energy-intensive beast, but a new treatment technology by Replay Jeans could reproduce the supple, broken-in look of vintage denim without the heavy environmental cost. 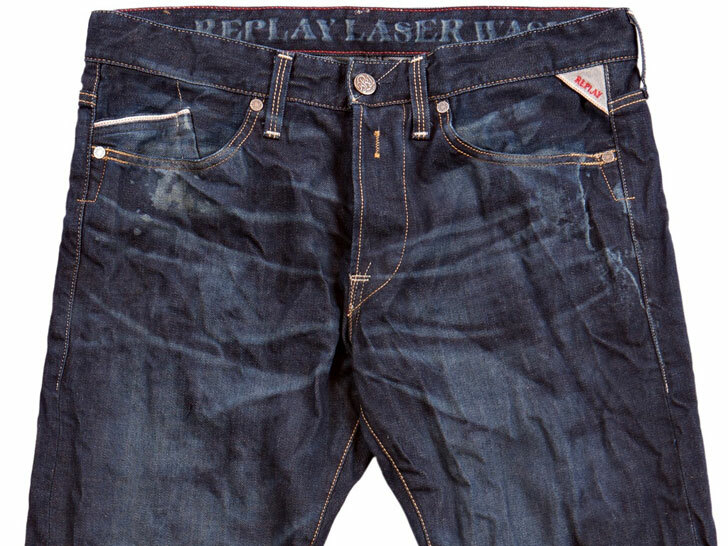 In fact, the Italian denim brand’s “Laser Wash” uses no water at all, but rather lasers to achieve its pre-distressed hand—no sandblasting required. To cut back on even more agua, Replay uses ozone washing machines that require less water than conventional denim tumblers. Bonus: When ozone breaks down, it reverts to free oxygen. “The Laser Wash is an extraordinary treatment, which has allowed us not only to create unique jeans, but also to create a new concept, ‘contemporary vintage,’ bringing together history with technology,” says Matteo Sinigaglia, CEO of Fashion Box, Replay’s parent company. Replay’s “Laser Wash” uses no water at all, but rather lasers to achieve its pre-distressed hand—no sandblasting required. Available in a skinny fit for women and a slim for men, the capsule collection comes in two washes: a medium tone and a dark tone with extra gray fading. And at €169, or roughly $220, they won’t cost much more than Replay’s existing range. The company, which is celebrating its 30th anniversary, began offering organic cotton in 2007. After switching to water-sipping ozone finishing two years ago, the denim-maker hasn’t looked backed since. Who says change is a bad thing? The denim industry is a thirsty, energy-intensive beast, but a new treatment technology by Replay Jeans could reproduce the supple, broken-in look of vintage denim without the heavy environmental cost. 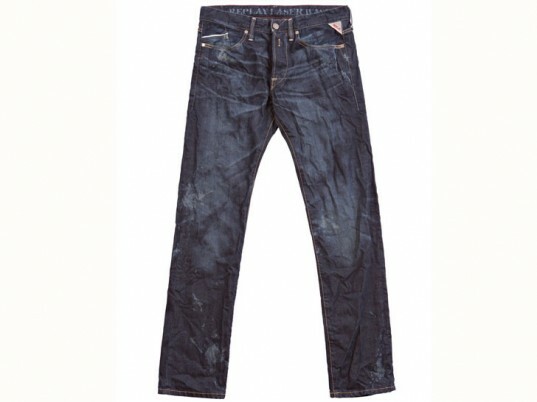 In fact, the Italian denim brand's "Laser Wash" uses no water at all, but rather lasers to achieve its pre-distressed hand�no sandblasting required. To cut back on even more agua, Replay uses ozone washing machines that require less water than conventional denim tumblers. Bonus: When ozone breaks down, it reverts to free oxygen.